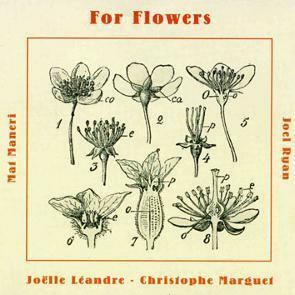 A unique project by Joelle Leandre bringing together an international line-up of the highest calibre: Mat Maneri (USA) - violin, Christophe Marguet (France) - drums, Joel Ryan (U.K.) - computer based electronics. Subtle variations are very significant in this dramatic music. Repeated listening is both necessary and rewarding, for it is almost impossible to figure out how these four musicians create the sound of a huge orchestra.